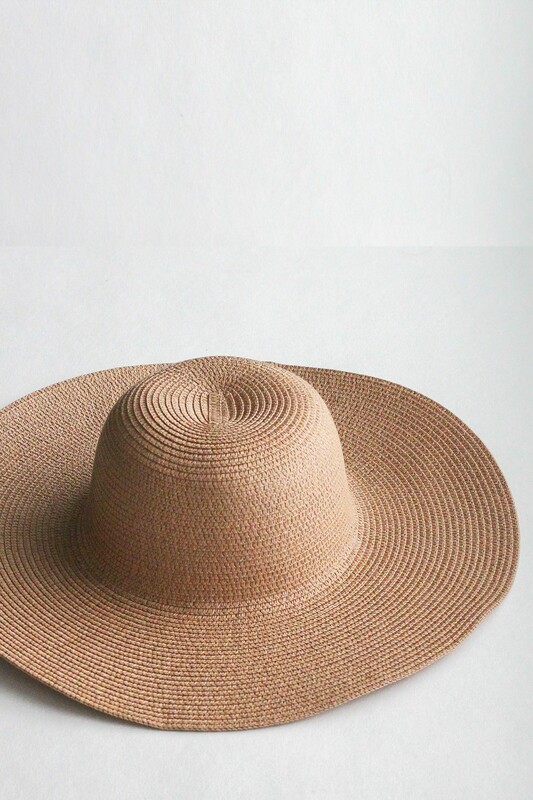 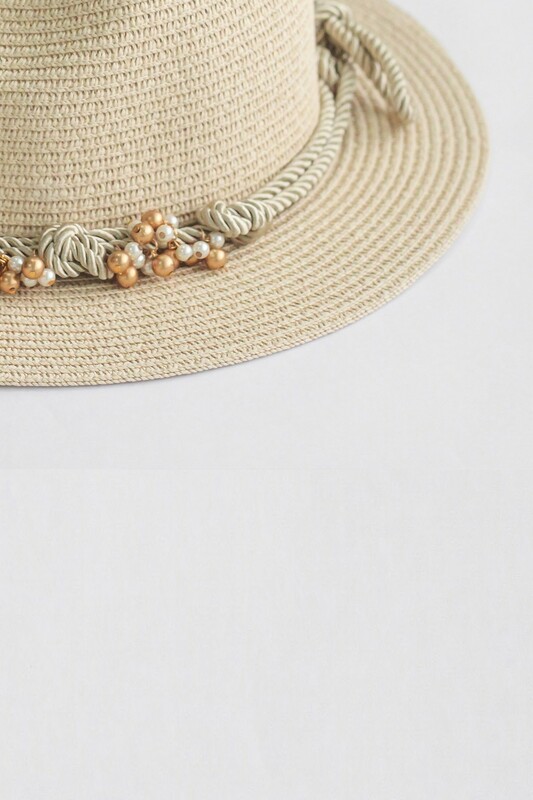 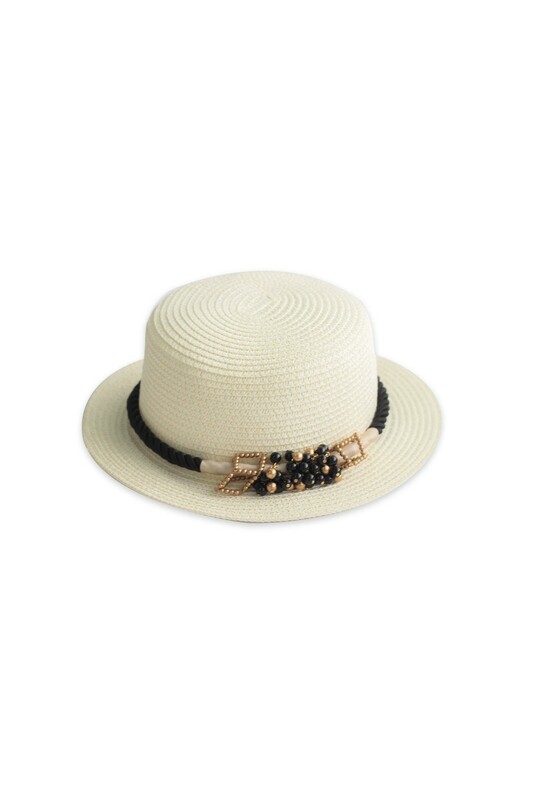 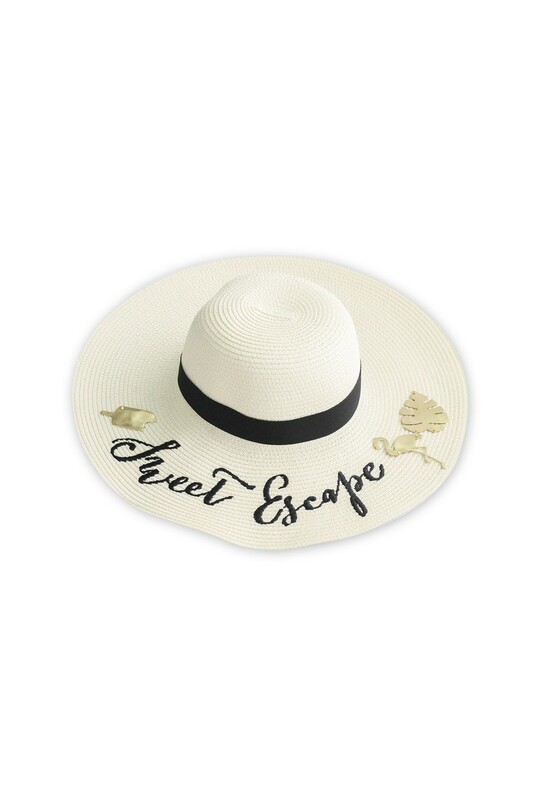 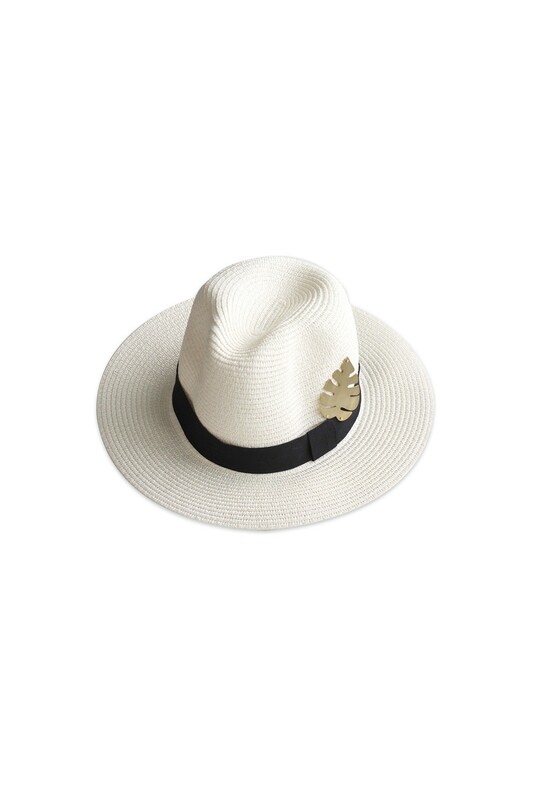 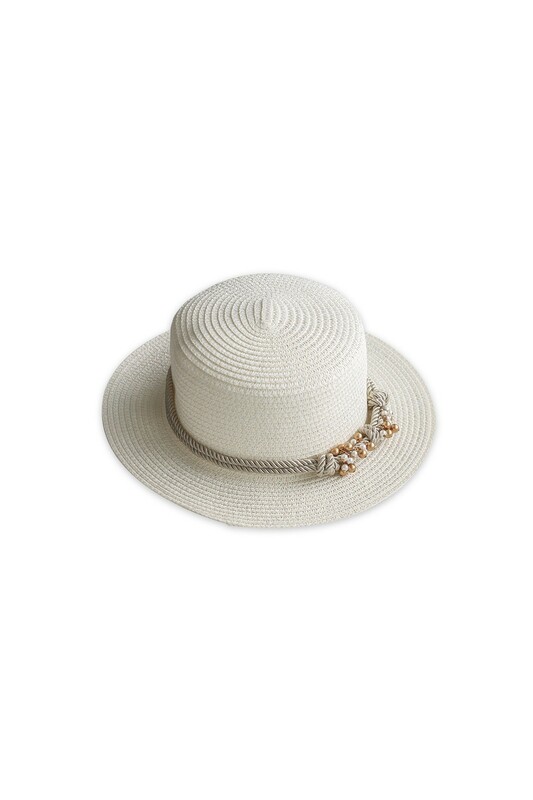 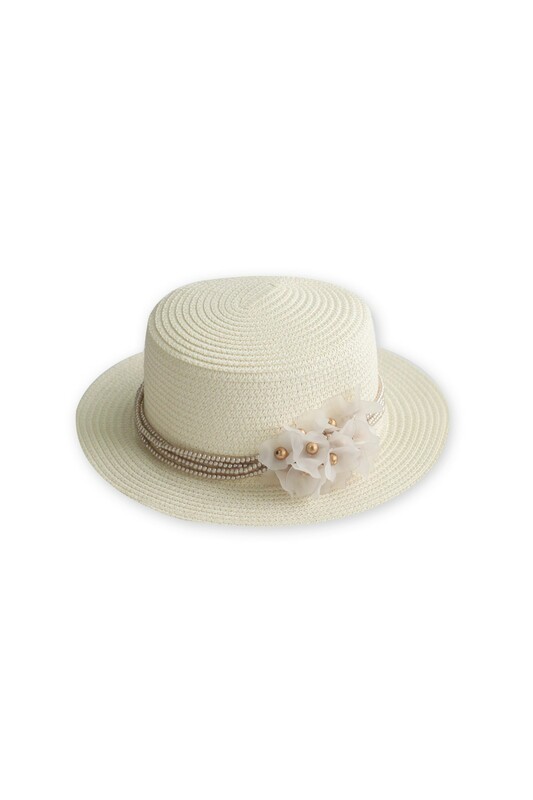 A straw hat with a touch of jewel made of two layers of synthetic rope, topped with gold beads. 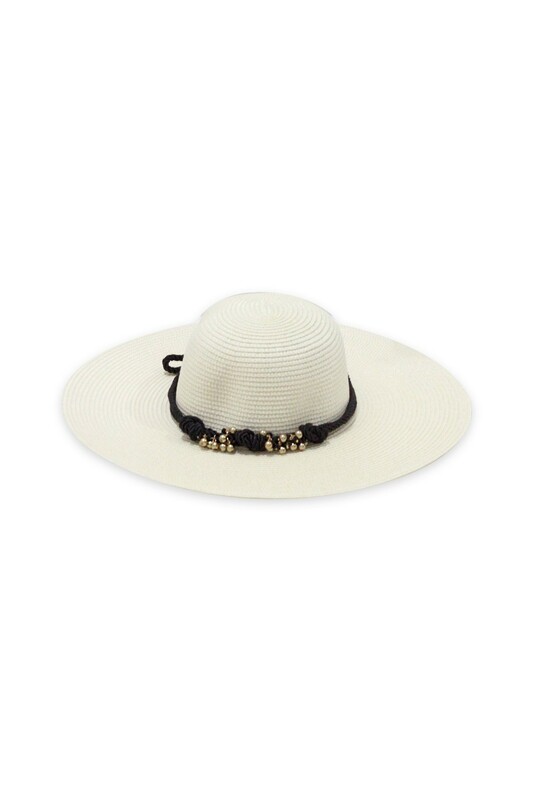 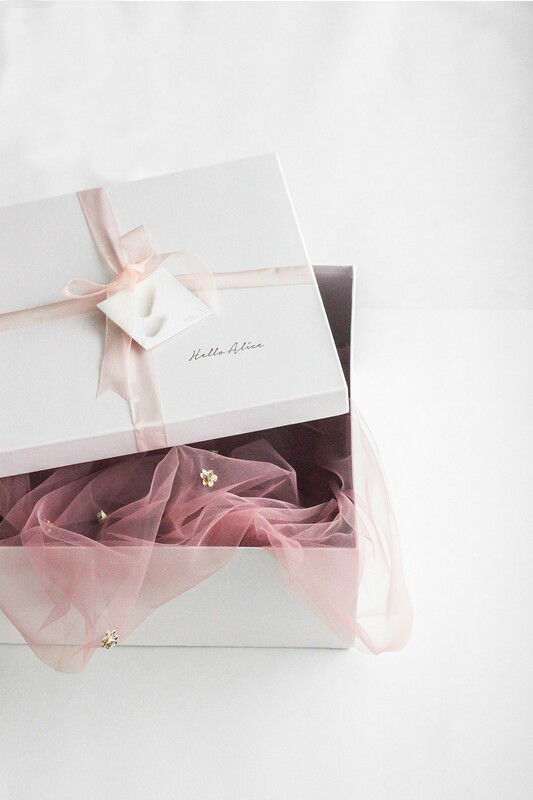 These ropes are available in two colors, black and crème. 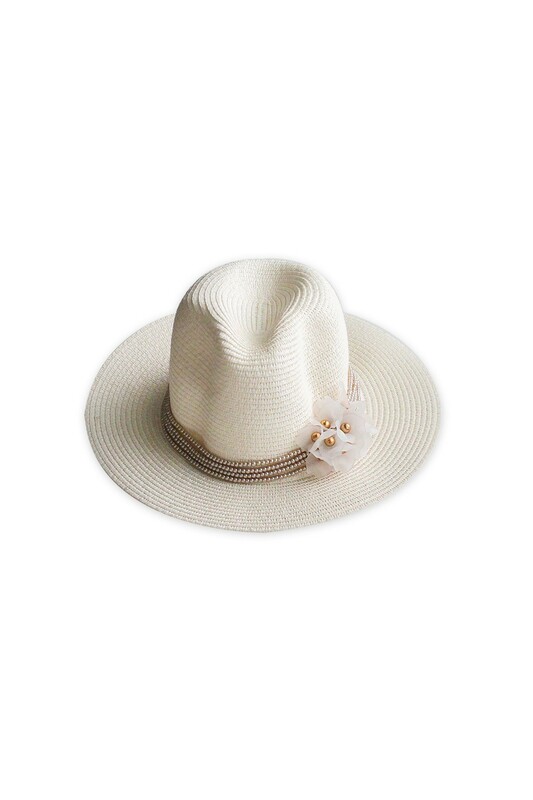 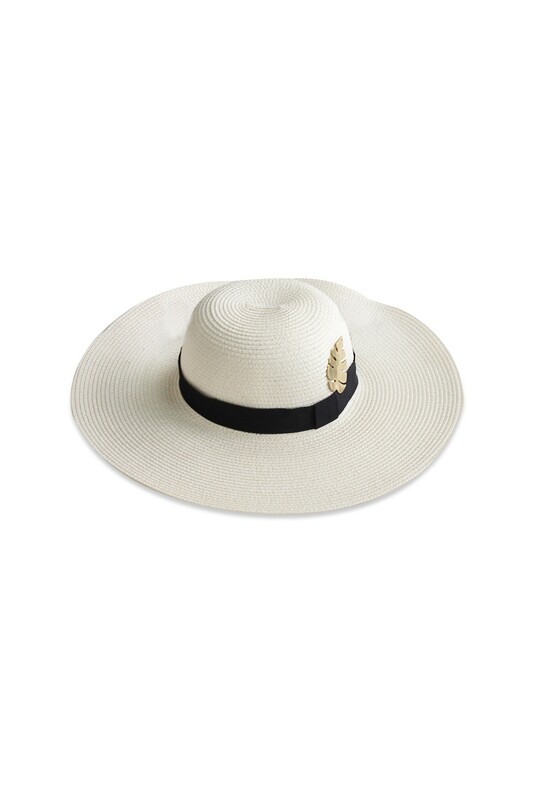 Hat is available in two colors: broken white and creme.